Good morning - and Happy World Card Making Day! 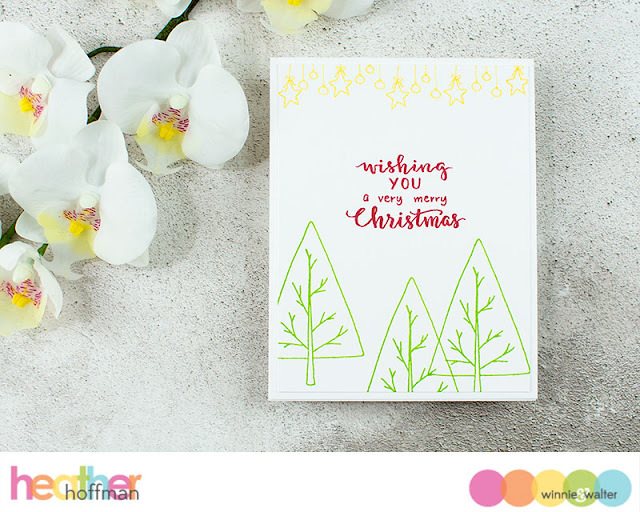 I am excited to be hosting a Clean and Simple Card Challenge today on the Winnie and Walter Blog - make sure and check it - and all the other fabulous challenges - out today HERE and play along for a chance to win some fabulous prizes! 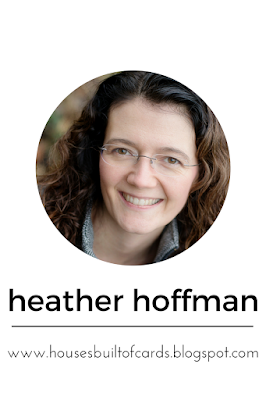 Despite the word "simple" in the title, CAS cards are not necessarily easy to create. Sometimes it takes a lot more effort to not add too many embellishments, and everyone knows what the smudge of an inky finger can do to all that nice clean white space! 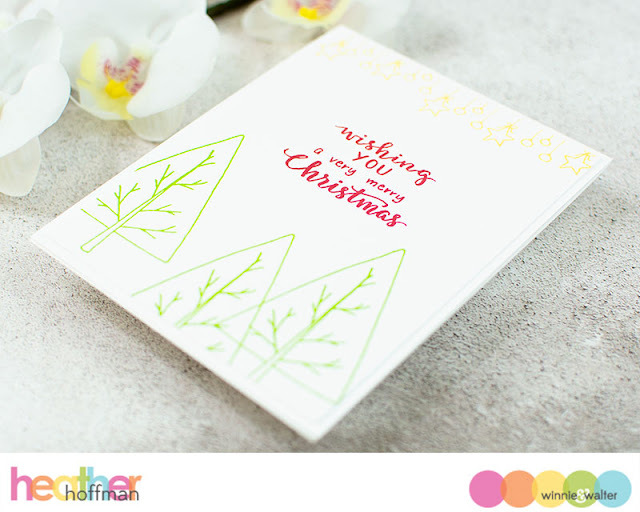 I have 3 examples of CAS cards to share with you - as well as some tips for making this style of card! 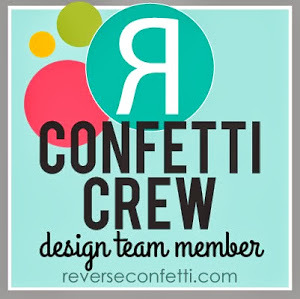 First up - using a stencil and leaving your background images uncolored is a great way to achieve a CAS design. 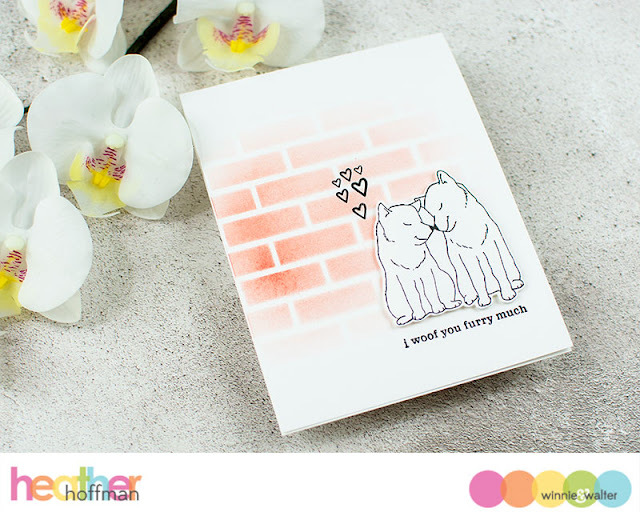 For this card I used some Fired Brick distress ink and Scenery:Rectangled Creative Screenings to create a soft background, then stamped the sweet pups from Dog-gone Cute with Evelin T Designs and die cut with the Coordinating dies. 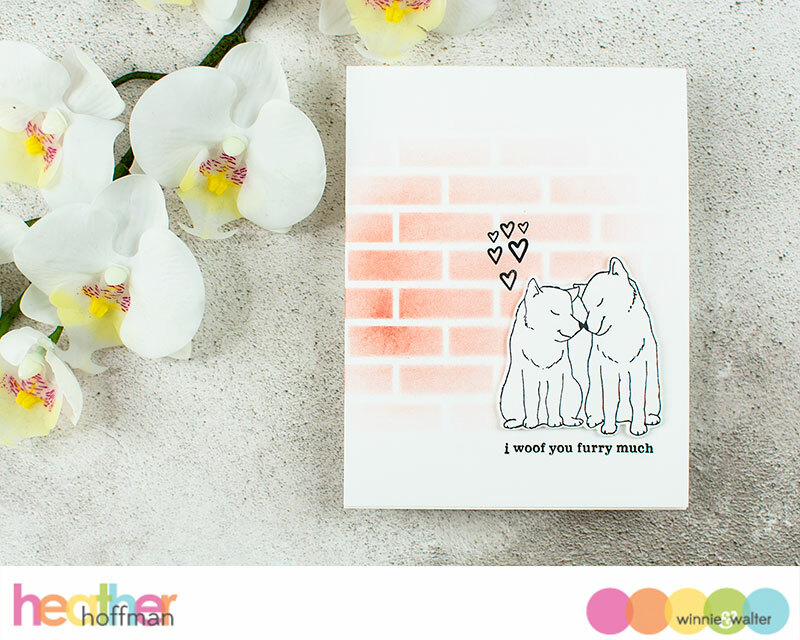 I mounted this with foam adhesive on my cardbase, stamped a sentiment underneath, and then added the hearts from Welcome to the Family with Evelin T Designs. Another fun way to twist up a CAS design is to stamp minimal images and sentiments, but instead of in the front and center of the card where you would first think, set it off in a corner. 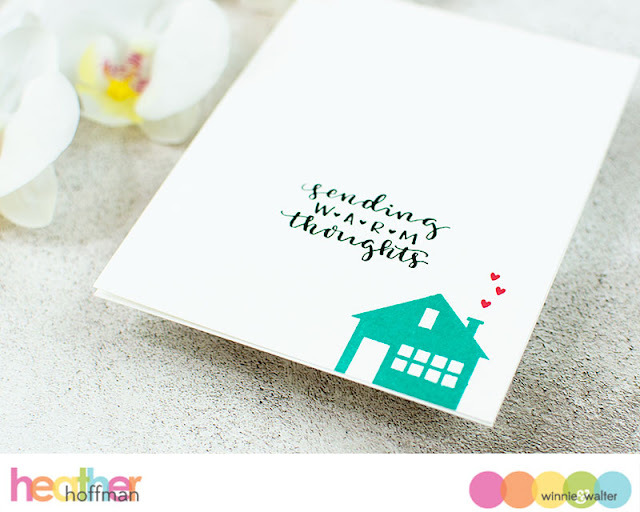 For this sweet and simple card I stamped the sweet house from Our Town in Aquatini ink in the bottom right corner, added the hearts coming out of the chimney with Rockin' Red ink, and then stamped a sentiment from Happy Owlidays with Evelin T Designs in black. 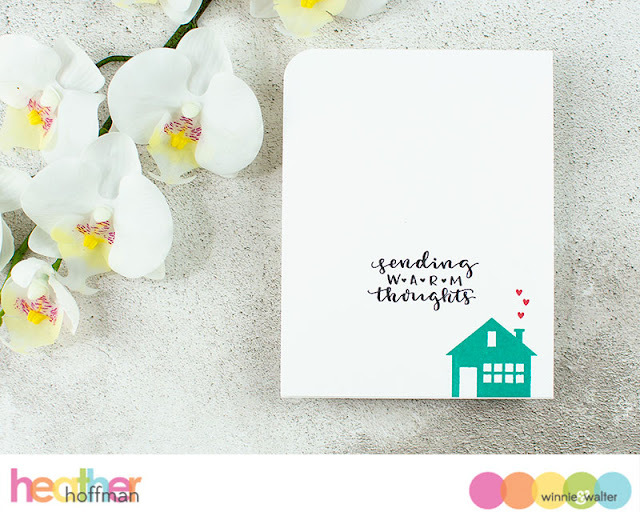 All the white space lets the meaning of the card shine - and your eye follows the house up from the bottom corner, along the hearts out of the chimney, all the way to the sentiment that perfectly captures the scene! And finally - another fun way to create a CAS card is stamping outline images in colored ink instead of coloring the images in! 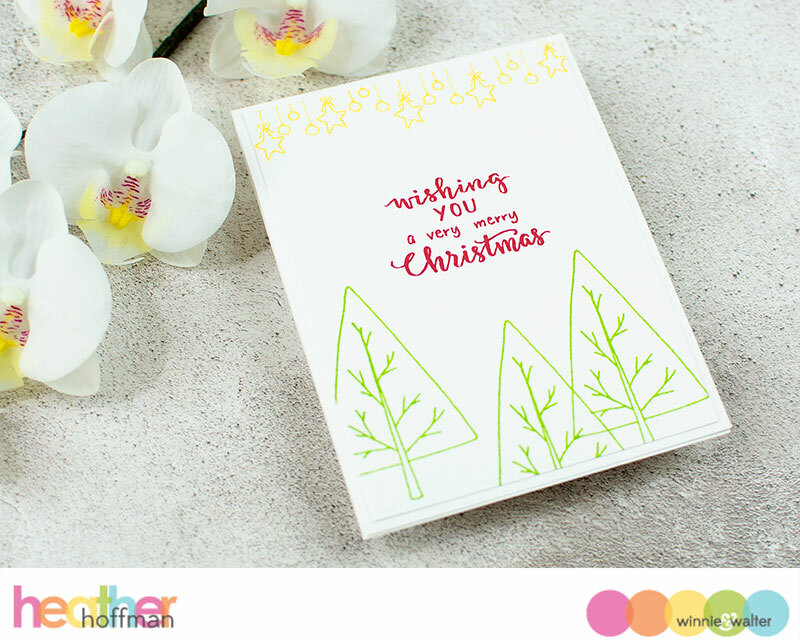 For this card I used images and a sentiment from Happy Owlidays with Evelin T Designs stamped in Lime Rickey, Rockin Red, and Tiara ink. I trimmed that white panel down and mounted it on my white cardbase for just a bit of a simple border and dimension. Loved your inspirational work!! 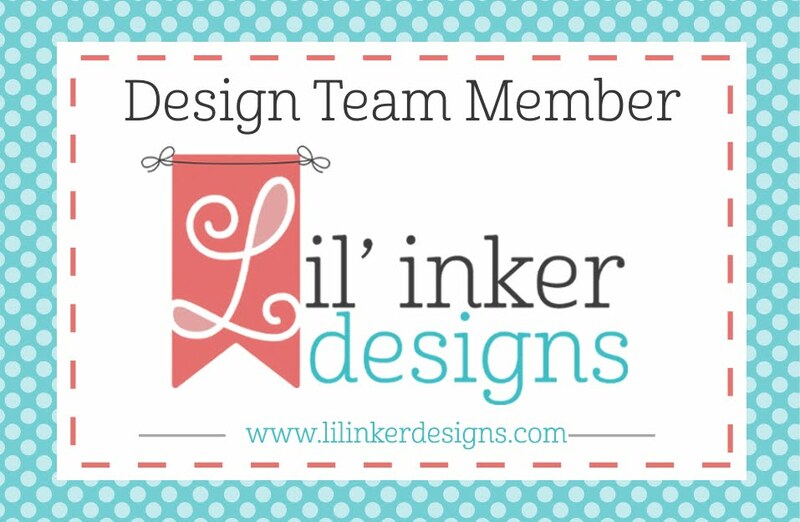 Love all the Winnie & Walter products and wishing I owned more of them! !